Our thanks to Travis Nichols at Gumroad for spending some time with us to get to know the Luminth. 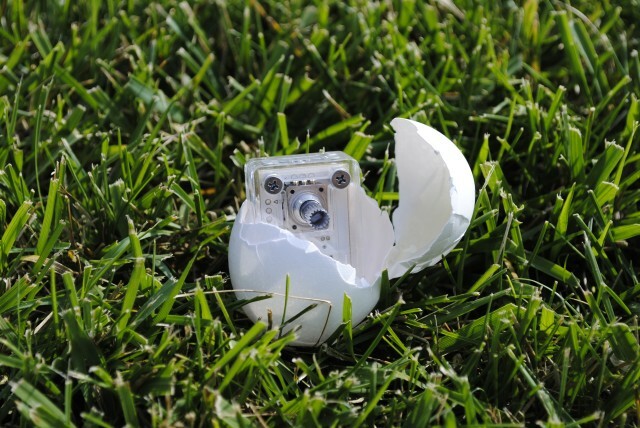 We are very happy to announce that the Luminth has shipped. Domestic backers should receive a package within the next week. 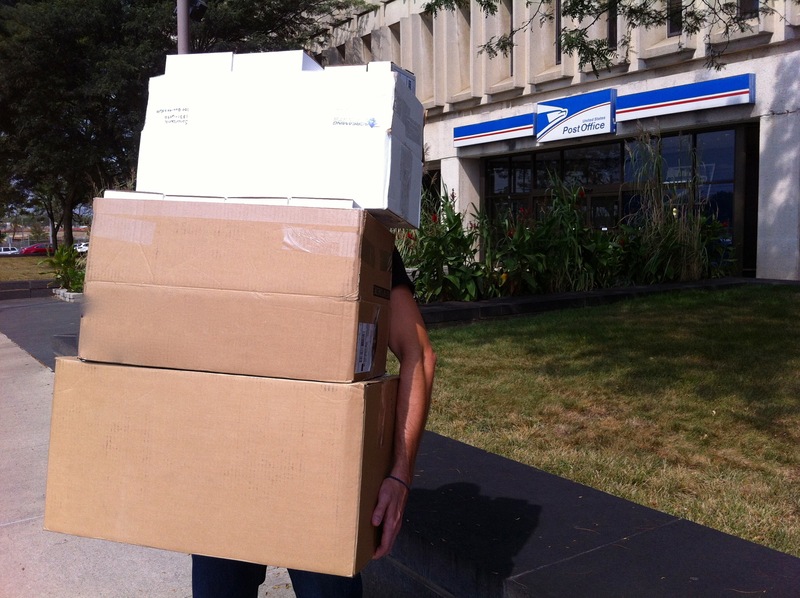 International backers should receive a package within the next four weeks. Each shipment contains a card with instructions for downloading your free copy of Luminth Orbiter. Do not lose this card. Be sure to check out the Quick Start guide included in the download to get up and running as fast as possible. If you have any questions, shoot us an email. We thank everyone for your support of the project and hope the Luminth makes you smile. 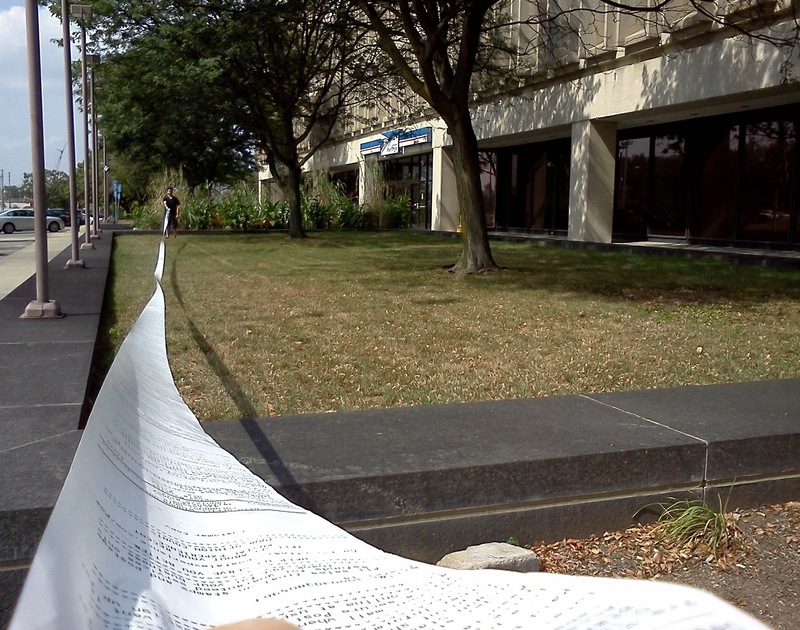 Check out the action photos from today’s shipping activities, including the impressive post office receipt! Just a quick note to update everyone on the status of the Luminth project. 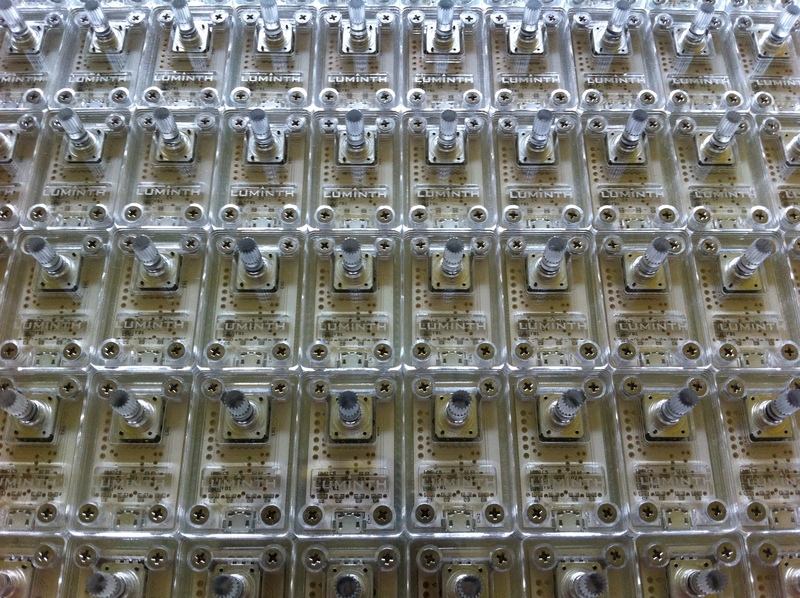 We have around half of the Luminth peripherals built, and Luminth Orbiter is approaching gold status. We have sent out the Kickstarter surveys, and are looking forward to delivering the Luminth and Luminth Orbiter very soon. We have two exciting pieces of news to share from the Luminth project. 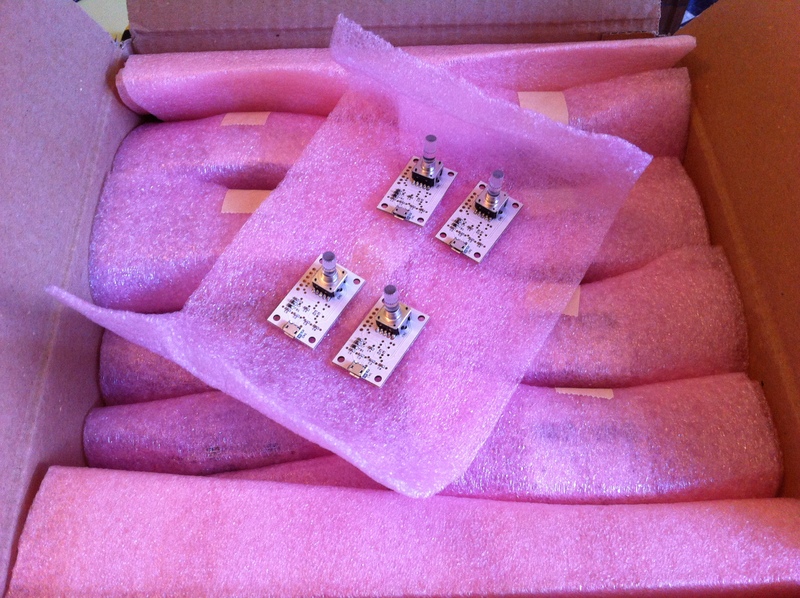 The PCBs have arrived. We are currently uploading the firmware to the boards and testing them out with Luminth Orbiter. 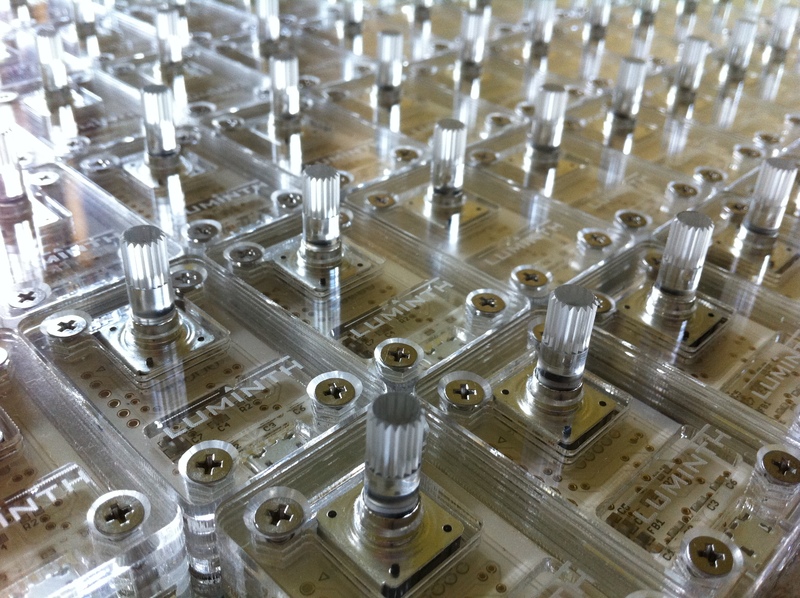 We have received the final production prototypes for the Luminth enclosures, and have placed the bulk order for the acrylic parts. 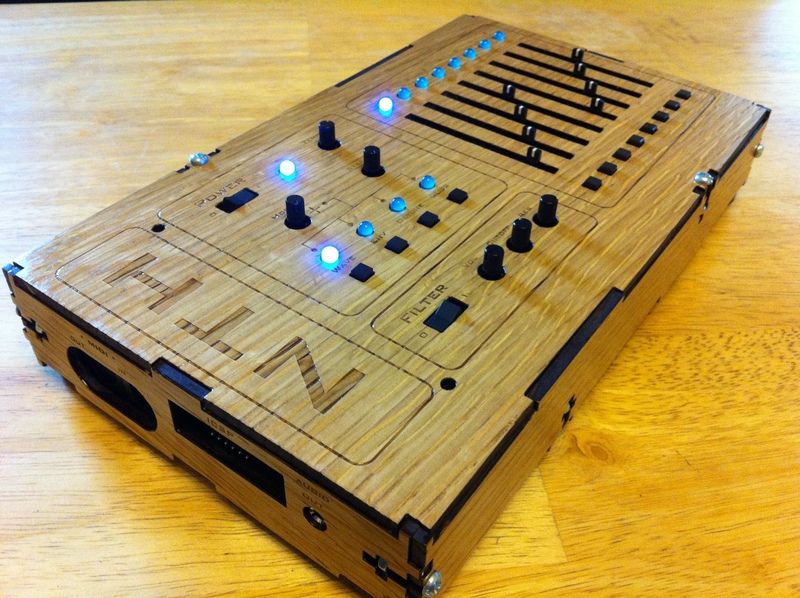 Our good friends at Griffen Hollow Studio produced the NTH Music Synthesizer enclosures, and will be manufacturing the enclosures for the Luminth as well. 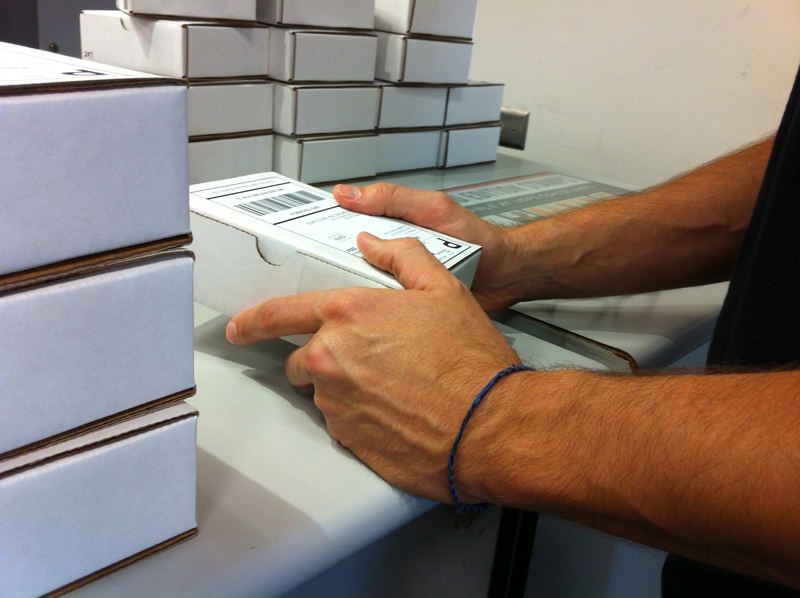 The Luminth Album was distributed to Kickstarter backers today. It is now available for purchase at Gumroad. We’ll be attending Summer NAMM on July 11-12 in Nashville. If you happen to be attending and would like to meet, please let us know! Alex is a fine craftsman and made us the white oak enclosure seen below. You can contact him here.